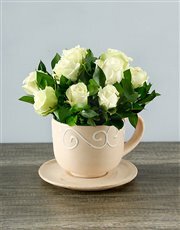 42245 NETA6.jpg 500X638\NETA6.jpg Send A Hint! 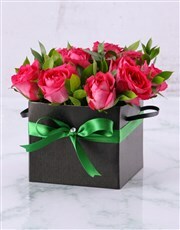 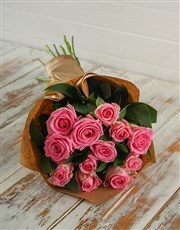 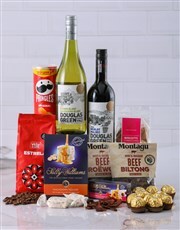 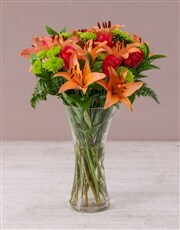 Product Description: less text No matter what the occasion, one can never go wrong a mix of colourful and vibrant flowers! 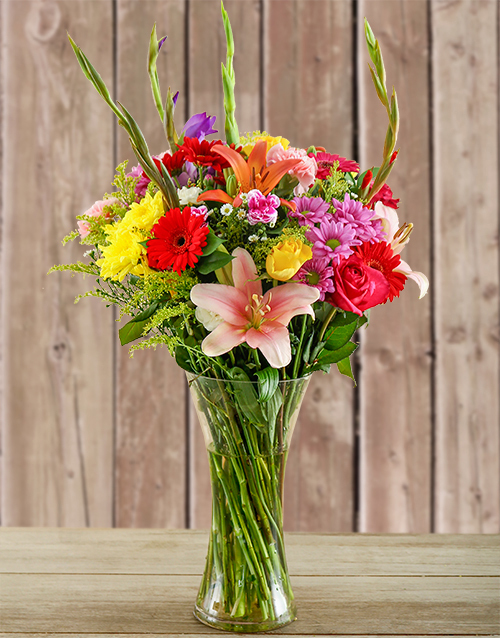 This arrangement consists of roses, lilies, sprays, goldenrods, mini gerberas, carnations, and ruscus which is displayed in a gorgeous small clear flair vase. 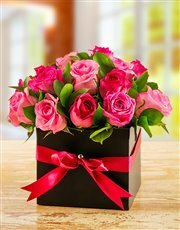 Send now to someone special! 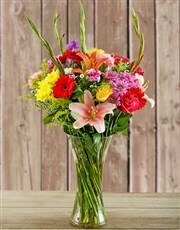 Get this Glass Vase Of Colourful Flowers delivered with NetFlorist.